Heather is proud to be a Boilermaker, completing her DVM studies at Purdue University in 1993. She worked in general small animal practice for 4 years before deciding that her calling was in pathology. She completed her residency training in Clinical Pathology at North Carolina State University, and completed the board certification exam in 2001.<br>After 5 years as a staff Pathologist at University of Pennsylvania, Heather joined Antech Diagnostics in 2006 and works from Newark, DE, where she resides with her husband, 6 rescue dogs and tuxedo cat. Aside from work, she enjoys travel, scuba diving, orchid fancying, stained glass, gardening, and vacuuming up dog hair. She shares microscopy images of all things classic to unusual that cross her microscope stage on Instagram under the name @pixcellated. 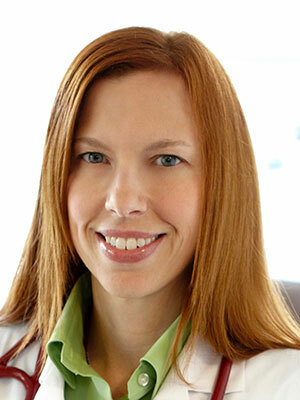 Dr. Jeanne Budgin is the staff dermatologist at the Animal Specialty Center in Yonkers, New York. Her primary areas of interest include feline dermatology, allergic and immune-mediated skin diseases. <br><br>In 2005, Dr. Budgin completed her residency training in veterinary dermatology at the University of Pennsylvania and received board certification. She also served as an intern in small animal medicine and surgery and was awarded a post-doctoral fellowship in immunodermatology at the University of Pennsylvania School of Medicine, where she pursued research in human and animal skin cancer.<br><br>Dr. Budgin received her doctor of veterinary medicine degree from Iowa State University in 1999, and subsequently spent two years in private general practice in New Jersey. Dr. Budgin has published articles pertaining to veterinary dermatology in various journals, and has presented at conferences throughout the world. <br><br>She is the former treasurer, vice president and president of the American Academy of Veterinary Dermatology (AAVD). She is also co-chair of the organizing committee of the North American Veterinary Dermatology Forum and was recently appointed as the AAVD representative to the World Association of Veterinary Dermatology. 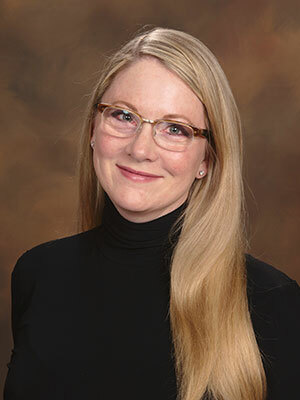 Dr. Budgin is a member of editorial board of Veterinary Dermatology and has served as the former editor of the AAVD's newsletter, Derm Dialogue. In addition, she is actively involved with the Global Veterinary Dermatology Education Group, which provides education in veterinary dermatology to underserved areas of the world.<br><br>Dr. Budgin currently resides in New York City with her cat, Bridgette, where she enjoys photography, cooking and yoga. Fine needle aspiration and cytology are common diagnostic tests performed in veterinary practice. Cytology provides the basis for empirical selection of antimicrobial therapy and adds diagnostic etiologic information based on cell types or structures present. It is a cost effective, minimally invasive technique, with only a minor up-front equipment investment. An introductory lecture to include optimizing specimen collection and staining, as well as a review of common cell types and artifacts, will be provided. This full-day program consists of subsequent one-hour lectures followed by microscopy of both inflammatory/infectious and neoplastic lesions will follow. Next, a series of unknown slides for individual review will be provided. Participants will be asked to individually classify the lesion as inflammatory, infectious, and/or neoplastic and further categorize the etiologic agent, type of neoplastic cells and criteria of malignancy present. Slides will then be reviewed together as a group with a focus on comparing and contrasting morphology between cell types. Break from 12:00-1:00 PM, lunch not included.